Celebrate New Years Eve under the stars in the Paragon's open air garden bar in the heart of Circular Quay. Doors open at 6pm, with a welcome drink on arrival of Chandon Sparkling or beer, then enjoy $10 cocktail specials until 8pm. 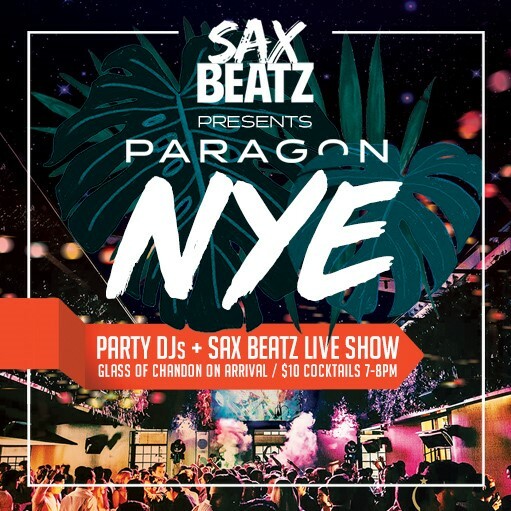 Sax Beatz take to the stage from 9.30pm with their own special combination of all things groove, bringing house & funk beats to your New Year's celebration. 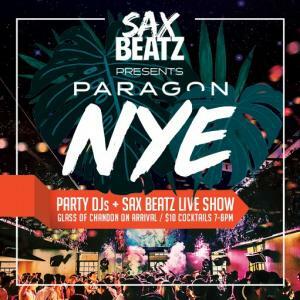 Featuring DJ Chabi, saxophonist Malina Kelderman and the suave Michal Fryc on the congas with support from DJ JoshJoy, Sax Beatz will ring in 2019 with a bang, just steps away from Sydney Harbour. © 2019 Ticketbooth on behalf of Paragon Hotel. All sales are final. Tickets are non-refundable.